For airport collection you will need to provide us with your flight number and arrival date. On arrival you will have a driver from ALCALARADIOTAXI.COM at the arrivals' gate, holding a card with your name. In all cases, before your arrival, drivers will send a message to the mobile phone number you have provided, notifying you that they are waiting at the gate. We provide you with peace of mind regarding price by offering you a maximum price, which under no circumstances will be exceeded, even if your flight is cancelled or delayed at the last minute. (If you are unable to travel, you must notify us before your flight departs). 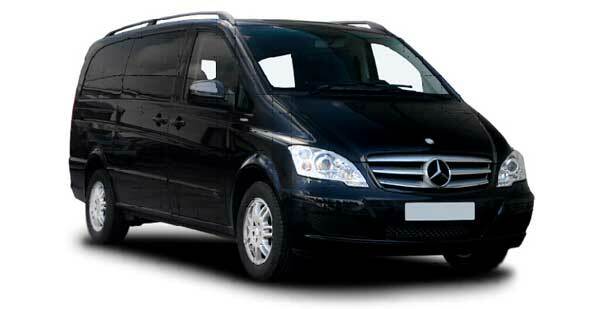 If you need a 7 seater vehicle, we have one available. It allows you to travel comfortably with room for suitcases. Note: vehicles are subject to availability, depending on the arrival time and date. Once the people carrier vehicle request is received, you will be notified of its availability within 12 hours. Transfers to the AVE station in Madrid. For safety, speed, comfort and trust, book with us. You will be satisfied and happily reach your destination. If you need a 7 seater vehicle, we have one available. It allows you to travel comfortably with room for suitcases. an approximation and may vary depending on traffic and incidents along the route). If your trip is different to those indicated above, please enter the address into our fare calculator.